At some point in your plans for a new steel building – after you’ve decided its use, where it will be situated and other important details like that – you’re going to want to know what the structure is likely to cost you. Pricing a steel building is part craft, part art. It’s good for you to have a grasp for how it’s done. Let us describe the variables that go into pricing your building so you can get a feel for what’s involved. Call and Price Your Building Today. Put simply, the design of your building determines the amount of work involved and the amount of steel required. As you would expect, simple, small lightweight buildings requiring no special structural engineering will cost less than larger, heavy-duty building projects that might, for example, have to withstand very strong winds or ground movement. Whereas labour costs don’t vary too much, steel prices do – as mentioned below. Wind load: different places have different wind ratings. So as you might expect, Florida – a state buffeted by very high winds and hurricanes – has a higher wind-rating than calmer Tennessee. Dimensions: (width, height, roof pitch, length) – these variables affect the amount of steel required in different ways. Increasing the width of your structure, for example, affects price more than increasing the length of the structure. Snow load: the load rating for snow is going to be higher in snowy Alaska than it is in balmy Houston. The stronger structure – which means additional steel – required in Alaska to safely hold that snow makes the building more expensive than a similar one constructed for, say, Houston. Open Areas: leaving a side of the structure open to the elements means the roof has not got the same protection against up-drafts that it would have if the structure were a closed one. The increased wind load required translates into a costlier building. Seismic Conditions: seismic ratings vary as you would expect according to the amount of seismic activity in your area. In areas where seismic activity exists ratings are high – as are the resulting building material costs. Steel prices move daily. In fact, they fluctuate so much that to give you an accurate price for your new prefabricated building we have to consider the price of steel that month. For any steel manufacturer a price given in one month can alter – up or down – on another. The basis of the building is a valuable world commodity – steel. Steel is a prized material – but demand for it fluctuates – sometimes over an extended time period, sometimes over the course of 24 hours. The world experiences slumps in the demand for steel – which pushes prices down – and spikes in demand for steel – which pushes prices up. Between these extremes there are rises and dips for a host of other reasons. But with steel being such a big part of your steel building its price has a major effect on the building’s cost. Which means a good third of your building’s cost is determined in a substantial way by what’s going on elsewhere in the world – and how that might affect the price of the steel on the day you need it. Another commodity cost; this one affects the cost of getting heavy steel from the supplier to our factory and then transporting the heavy finished product from our factory to your job site. Fuel prices don’t tend to fluctuate like steel costs do but as we all know from time to time they do move around a bit. Like many commodities the price of steel can be reduced if the buyer is buying in bulk. That’s practically impossible for an individual client to do. But a large steel manufacturer like Allied Steel always buys at a discount due to the amount we purchase. And at Allied, this discount is passed on to the customer – giving them a genuinely competitive quote. Insulation: if it’s important to maintain some sort of steady temperature in the building then good insulation is a must-have because it pays for itself over time. Still, in the initial construction phase its cost has to be factored in. Solar Panels: again, an addition to your building that will pay for itself over time but whose initial installation cost has to be accounted for in your initial budget. Functional additions: there are simple add-ons that can improve the usability of your building – windows, vehicle doors, walk doors, skylights and similar. Don’t let the apparent complexity put you off though! Allied’s steel buildings are still cheaper to construct than traditional buildings, quicker to erect and cost less to insure. If you’re serious about your steel building then we are too, and we can help you with a reliable budget price for your project. Price your building here. 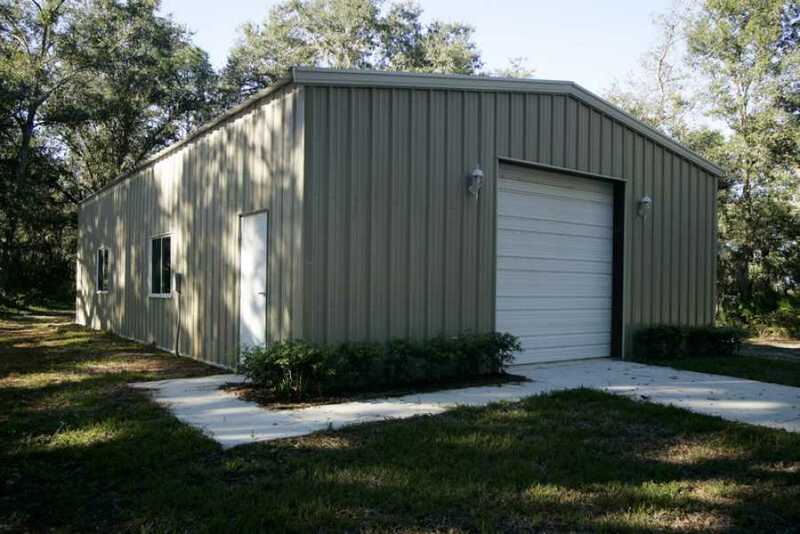 Fill in some basic details and we will provide you with a budget price for your steel building. Once you’ve done that your next step should be to call us on 1.877.997.8335 and we’ll be glad to walk you through your options.